"It is a privilege and a joy to work with Venkat. He is a master of the written word and an artful communicator enabling the Business Marketing Association to engage more meaningfully with our audiences. His proactivity and love of data is a driving force in helping the organization educate and engage all levels of marketing professionals. His active contribution as a Board Member of NORCAL BMA has been and continues to be a tremendous value." "I've thoroughly enjoyed working with Venkat on various content pieces. His willingness to dive deeply to fully understand our business and industry on a conceptual level has not only enabled him to generate content that was accurate and engaging, but has also pushed me to reconsider how we characterize some of the ideas and innovations that we have developed in an effort to make them more easily accessible to our audiences. I should also mention that he is thoughtful, considerate, and easy to work with. I recommend Venkat without reservations." "I have the pleasure of working with Venkat through our board positions with the BMA Norcal Association. He is a copy maven. Delightful to work with. He does an excellent job at interpreting complex messaging and translating into engaging copy. Expedient. A reliable and trusted board member." "I have had the pleasure of working with Venkat directly on the NorCalBMA Board for the past year. I've seen Venkat's work in the our newly refreshed blog postings, email promotions and promotional pieces for our events and speakers. Venkat has a remarkable talent for bringing session content and events to life in both written and visual format. In addition to his 5-star end products, he is a wonderful person to work with. 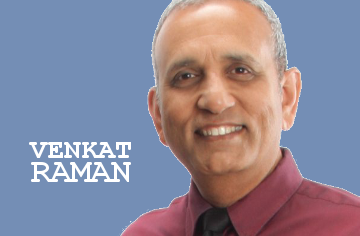 I highly recommend Venkat Raman for your B2B Direct Response Copywriting projects!" "As a co-founder of REDmedic, one of our first priorities was to recruit a core team of top architects to shape the development of the underlying software. Along came Venkat, who jumped right in from the start and got things done efficiently and ahead of schedule. Venkat is a superstar!" "Venkat is a supremely reliable and an extremely professional person to work with. He can see the heart of a situation and deliver exactly what is needed." "Venkat is always very diligent and knowledgeable in what he is doing. He took on the most difficult tasks in our group and always delivered. Venkat was highly regarded in our own team as well as the business teams with whom we interfaced on a daily basis." "Venkat is a powerful team member to have as a business co-worker. He quickly stands out as a senior contributor because he just naturally stays aware of the whole mission , rather than just his part of the process. Venkat's focus is always on the best way to work together to get the job done." "Venkat was able to educate employees to facilitate internal use of our website. His work has served as a model to accommodate our present needs. Venkat continues to advise and guide Tri-City Voice on a timely basis when website challenges arise."